SO happy that it's finally peony season! I've been patiently waiting and finally saw them at my local Whole Foods :) The quote the best is yet to come gave me hope as I'm currently trying to sort out some things in my life and was encouraged to be patient and have faith. This past week was filled with catching up with friends, I'm learning to cherish the friendships where we can both pick up from where we left off. Hope everyone had a great week and cheers to another week ahead! Happy Mother's Day to all the wonderful, strong women that are in our lives and help shape us to become the person we are today. gorgeous! 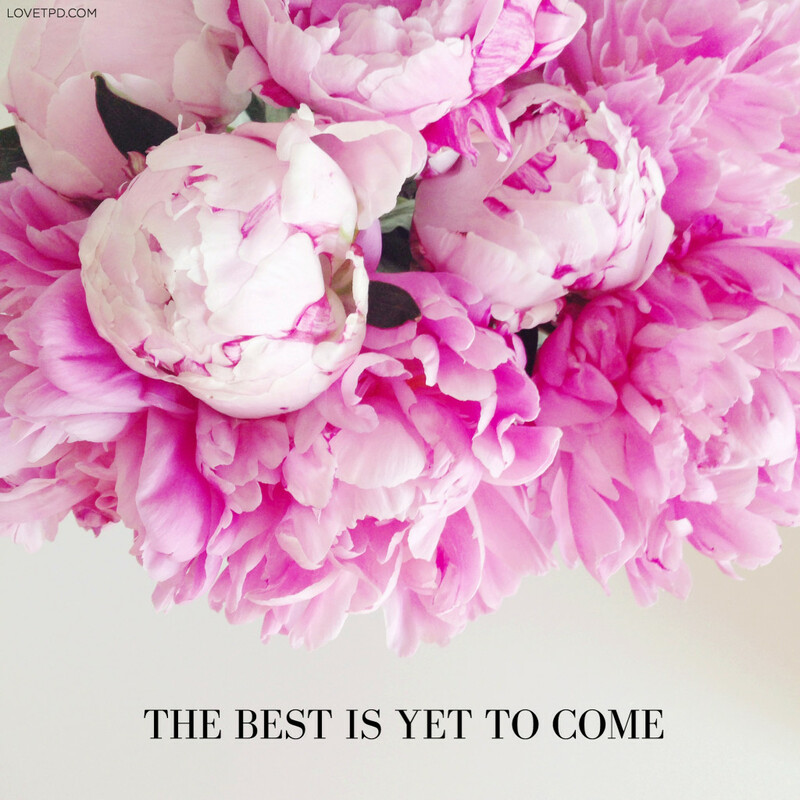 i can never get enough of peonies, they make me so happy! "Soccer teams are doing it considering that the '70s,Inches he said. "Because baseball is the most common sport on the earth, you have a vast acceptance by fans all over the world that it's suitable to put marketing on baseball jerseys. And it is a small thing to go from a new soccer hat to a hockey, basketball or baseball hat.". era algooo ke ya se veiaaa venirssssssssssss... salu2!!!! Sunt toate faine. Cred ca totusi cel mai quick si bun mi s-a parut statusdetect. com. Parerea mea. www.cukbooks.com is a search engine which is used to find different eBooks, manuals and other types of electronic documents in various sites. 芦Quand vous allez au travail et vous 锚tes victime d'intimidation, il vous porte mentalement et physiquement;. Elle affecte votre esprit, corps et 芒me C'est une blessure mentale inflig茅e禄, dit Mme Nair, dont le groupe de soutien organise des s茅minaires de sensibilisation. The first is Wissant; the main part of this pretty little town is set away from the sea, making it feel less commercial than many resorts. The car parks beside the wide beach are often filled with battered camper vans, since this is one of the top windsurfing spots in Europe not to mention kite surfing and sand yachting.